Tumbled travertine enhances the rustic, earthy appearance of the holes that naturally occur throughout travertine, giving these natural stone tiles a soft and smooth, yet worn appearance and slightly rounded corners. Unfortunately, dirt and grime can get trapped in the grooves and around the edges, causing what is supposed to be a rustic, earthy design statement to become more of a housekeeping nightmare. Notice the BEFORE image. The owners kept up with regular cleaning and occasionally scrubbed the 10-year-old floor, without ever achieving the results they wanted. The professional stone restoration contractors at Set In Stone Restoration brought this travertine floor back to its just-installed glory. 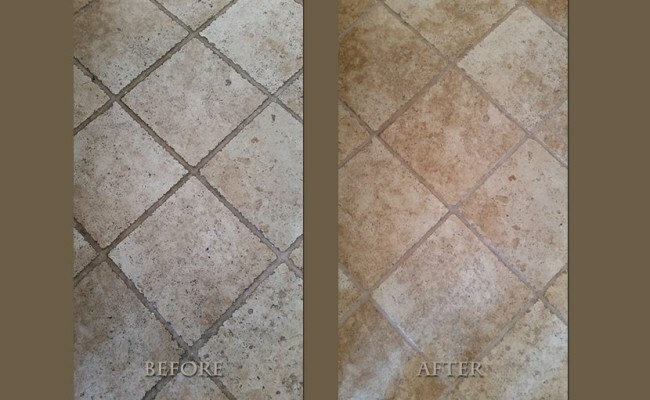 We can restore the antique elegance to any kitchen, bathroom, or other living space where travertine floors, walls, or surfaces have become dull, stained, scratched, etched, chipped, or otherwise damaged. 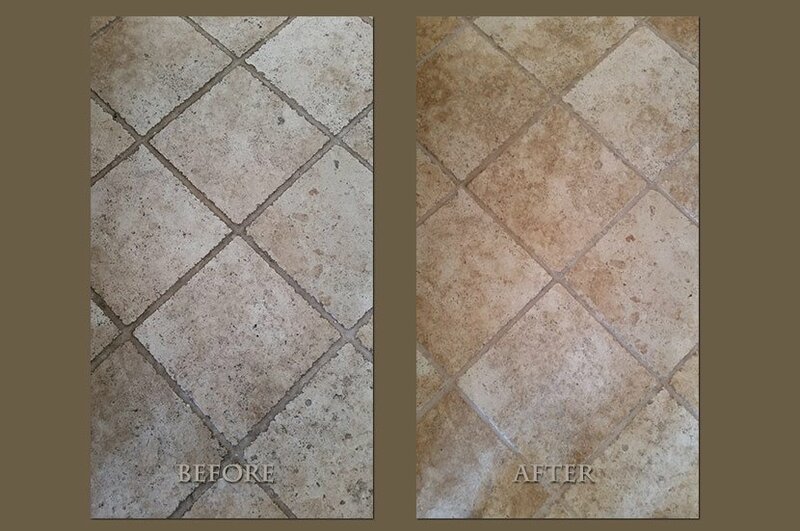 You can really see in the AFTER image what a difference our professional travertine restoration services make!